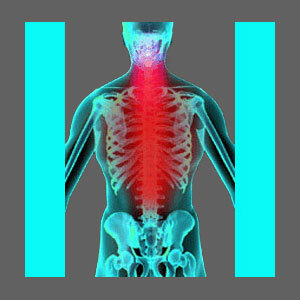 Acute spinal stenosis describes symptoms which come on fast and strong. Any acute pain condition can be incredibly frightening, especially when there is a limited or nonexistent history of similar occurrences in a particular patient. It is incredibly common for patients with acute back pain or neck pain to seek emergency assistance at their local hospital, usually with incredibly frustrating results. Typically, patients will sit in the ER for hours, only to be moved into triage to wait for hours more. Finally, a doctor will see them, do a few quick tests and advise that they be sent home with some pain pills and a recommendation to follow up with their normal doctor. What a horror. I have been through this ordeal on more than one occasion. This essay explores the human misery caused by acute stenosis pain. The first scenario exists when spinal stenosis has already been diagnosed, but symptoms have not been too severe. Suddenly, the patient suffers an escalation of symptoms caused by a known or unknown event, such as lifting, falling or other trauma. This is considered an acute symptomatic expression. In other patients, there may be no history of spinal canal stenosis, when all of a sudden, the patient develops terrible symptoms resulting in the spinal stenosis diagnosis. This rarely occurs due to spinal degeneration, since arthritis takes time to grow. The most common cause of acute stenosis is a herniated disc injury. Acute pain can be torturous and when it comes to the back, there is no easy way to find relief. I remember ever so clearly my worst flareups of acute lower back pain and would never want to go through that again. Neck symptoms and middle back symptoms can be just as debilitating. Acute and severe spinal stenosis symptoms have an inherent fear effect and make people feel as if they are permanently injured, when in many cases, the expression will pass quickly and without any permanent damage, at least not physical trauma. The scars left in the mind and soul may last forever. I know mine certainly have, even decades later. The problem with acute stenosis symptoms is that you never really know what to expect. In 99% of patients, the pain will diminish on its own and the most prudent thing to do is to stay relaxed, consider short-term pain management and rest comfortably at home. Going to the hospital will likely produce less than satisfying results. However, in that remaining 1%, there may be something serious wrong, like cauda equina syndrome or some other medical emergency. Therefore, I always advise seeking professional attention for new or escalated symptoms. Hopefully, your present pain will resolve quickly and give you time to learn about your many options for spinal stenosis treatment. This knowledge may help to ward off future acute episodes to come.